I just got home from a fun night at the Waxwing Fall Art Showcase. I was going save this for Monday, but the tea I drank for the ride home is keeping me awake. 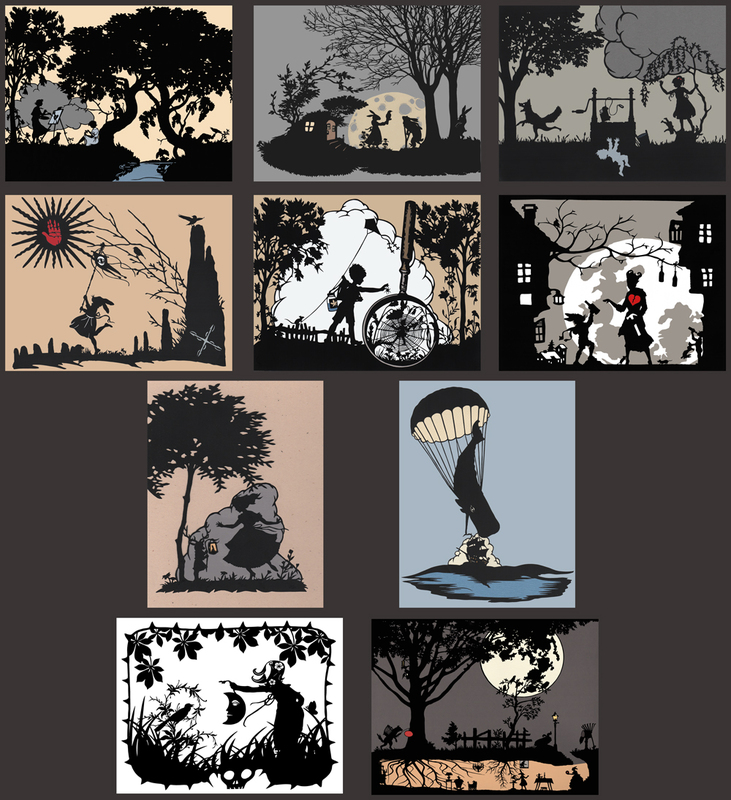 I ordered the first 8 images (click for larger image) above as new postcards and I should hopefully have them by next weekend and for sale shortly after. I ordered second editions of the bottom two as well. The bottom left image was my very first postcard that I sent out in 2012 and the bottom right was a post card created exclusively for an Indiegogo campaign. To keep the originals unique, these will be on a different card stock than the originals and the backs are going to be different. The back of the black and white card originally didn’t have a space for the address and the Indiegogo card was originally in full color on both sides. These re-prints will have the same scheme as the rest my postcards and a ‘B’ will be added to their serial number. I will never be collectible, but just in case, take care of your ltd. ed. originals! I am still trying to source just the right kind of postcard box containers to have 3 different collections of 10 available soon. Hopefully they will be completed by the holidays. This entry was posted in astronomical, bunnies, Daniel Rathbun, finished work, Papercuts, postcards.